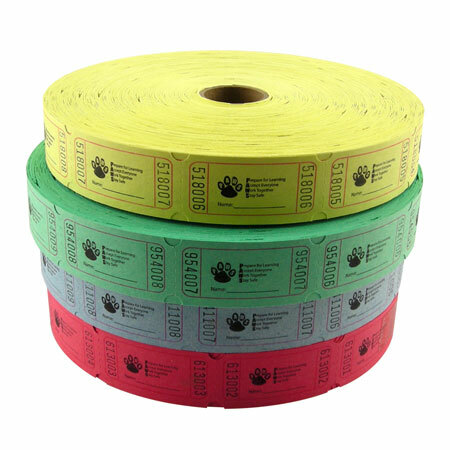 Our Standard Paw Print PBIS Tickets are printed on colorful bristol paper for an attractive and durable appearance. 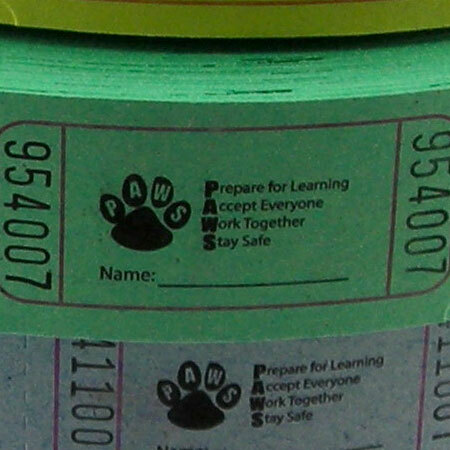 Each 1" by 2" ticket sports the paw print logo with the P.A.W.S. slogan.